Here our panel of experts detail how to best utilise analytics solutions in the contact centre. Traditional approaches to performance management can leave advisors feeling unfairly treated. This is because their performance is often evaluated based on their supervisor listening to a small sample of random calls or interactions. Using interaction analytics that automatically monitors, analyses and scores all customer–advisor interactions across multiple channels in one system, advisor performance can be measured objectively. Each advisor is provided with a personal scorecard which automatically measures their performance against agreed quality parameters on a daily basis. By aggregating all the data into a single view, it is possible for supervisors and managers to evaluate and compare performance against key quality metrics. It also makes it possible to get a picture of quality across the entire customer journey, and the entire advisor team, and therefore highlight trends or coaching needs. 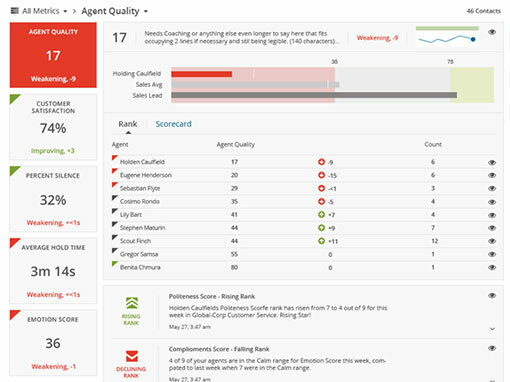 The scorecard also makes it possible for advisors to evaluate their own performance, so that they can decide what they need to do to improve the quality of the experience they deliver. Driving this ‘quality culture’ can be supported by gamifying advisor efforts by showing how an advisor scores against key criteria relative to their peers (anonymously). By aggregating customer interactions, transactions, feedback, acoustic and sentiment data and advisor data in one system, interaction analytics provides an end-to-end picture of the customer’s interactions with a company. This complete 360-degree view of the journey is created by collecting the ‘hard’ and ‘soft’ data the company captures about its customers and their interactions from different data sources. The ‘hard’ data includes customer interactions with a company via multiple channels, such as calls, chat, email, texts, social media and surveys. To put it simply, ‘hard’ data gives factual information. But hidden in the hard data is ‘soft’ data that gives a clearer insight into how a customer was feeling. This can include sentiment analysis that identifies if they were angry, happy or upset – or if the advisor was showing empathy that made the customer relax and be receptive. By aggregating hard and soft data, it is possible to identify the person behind the transactions. Interactions analytics allows contact centres to automatically tag certain language patterns, keywords, phrases and other characteristics, and score them against set call criteria. This is the basis of sentiment analysis. Using a scoring mechanism, sentiment analysis monitors conversations and evaluates language and voice inflections to quantify attitudes, opinions, and emotions related to a business, product, service, or topic. 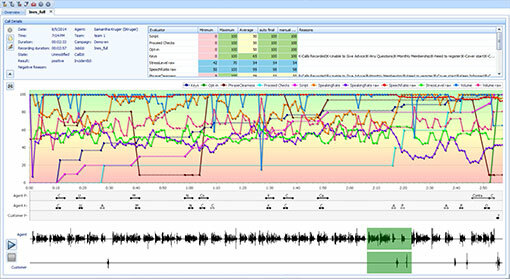 Changes in the level of stress indicated by the person’s speech (such as in response to a solution provided by a customer support representative). Also, by integrating machine learning into the mix, sentiment analysis becomes more accurate over time, as algorithms learn and adapt to the commonalities in conversations and how the context of conversations can change outcomes. Because interaction analytics analyses and scores every single advisor contact, it provides a more complete sample of compliance than is possible through more traditional methods. The contact centre can automatically evaluate and then classify every interaction into configurable categories that are relevant to the various compliance regulations. By doing this the contact centre can tag these categories (e.g. use of non-compliant language, raised voices and other risky behaviour) and then score them by meeting pre-defined, individual quality scoring criteria, such as script and other regulatory compliance adherence. 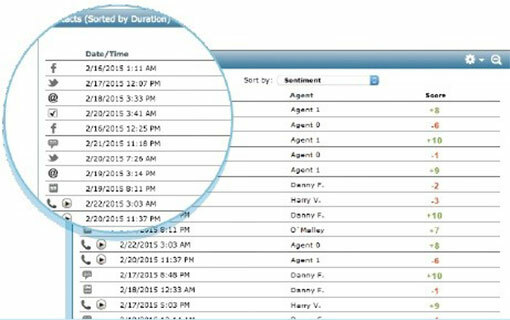 A real-time analytics solution can also help with compliance during the call. It does this by tracking of script elements as they are completed using contextual speech patterns. It ensures that advisors are saying the right things at the right time by providing next-best-action guidance, event alerting and automated context-driven workflow reminders to prevent non-compliant behaviour. Businesses can make use of the market intelligence that interaction analytics provides by identifying the optimum path to making a sale. 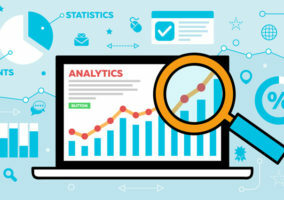 While multiple routes may achieve a successful close, interaction analytics will identify the best-practice method that delivers the best customer satisfaction or loyalty score. Advisors testing this path can be scored against adherence to the desired path or their ability to identify language which indicates a willingness to buy. Analytics can also help identify possible sales trends or to create opportunities to up-sell or cross-sell. Analytics can also identify points in a call when customers are highly disposed to accept a ‘close’ or are willing to receive an additional offer. An unexpected increase in calls regarding the availability of a specific product could indicate a new seasonal sales trend. Using the insight gathered via interaction analytics, a company could predict the increase in demand and alert operations so that adjustments to stock and resource levels can be made to meet it. Analytics can also identify points in a call when customers are highly disposed to accept a ‘close’ or are willing to receive an additional offer. Advisors provided with this insight can increase their conversion rate and deliver a better customer experience. Interaction analytics can be used to capture what customers may be saying about the organisation’s competitors. For example, during a phone tariff renewal call, a customer may mention a competitor offer that he thinks may suit him better. With random sampling of calls, the probability of discovering that this is the start of a major campaign is small. Analysing every call can give the contact centre the advantage of spotting and then sharing this insight with other teams to quickly react to a competitor offer. By providing advisors with a counter-offer, the organisation could not only minimise customer churn but also convert existing customers to a new deal. Interaction analytics can help a company to quickly assess whether its TV ad, email or phone campaign is converting well. For example, are people calling in regarding a specific offer they saw on the TV campaign, does it create a buzz on social media or has it triggered negative comments? Monitoring every interaction will enable the marketing team to optimise the messages during a campaign to deliver a better ROI. The technology also makes it possible to spot and address product or process issues as they materialise by identifying anomalies or emerging trends based on the words used in customer interactions. With predictive analytics, organisations can use the kinds of channel customers are choosing, together with their age profile and the task they are focused on. 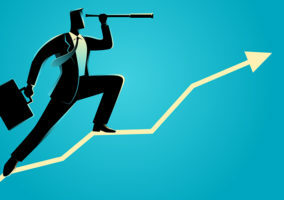 With predictive analytics, organisations can use the kinds of channel customers are choosing, together with their age profile and the task they are focused on, for example, to assess what they are likely to do next. The business can then optimise the customer journey on the back of that knowledge. Triangulating business activity monitoring (BAM) and business analytics functions with customer relationship management (CRM) and customer interaction management (CIM) allows the organisation to present customers with a range of service options relevant to their past behaviour and preferences. The CRM platform will be registering, tracking and logging the last interaction with the customer involved and what the outcome was, giving the business a historical perspective. In the meantime, the organisation’s analytics engine will tell it what certain types of customers have done in the past and predict what they are likely to do in the future. The use of real-time speech analytics (RTSA) solutions to continuously monitor conversations between advisors and customers enables businesses to effectively measure stress levels, script clarity, over-talking and raised voices. By doing so, organisations can take the emotional temperature of any interaction and provide advisors and supervisors with the information they need to quickly adjust the tone and calm down potentially difficult situations. With research highlighting that businesses should become more emotionally intelligent, analytics solutions are useful for contact centres looking to find ways of better understanding their customers and tailoring the way they engage with them accordingly. Predictive analysis helps managers to understand the success of various channels as they happen in real time. For example, if voice calls are high, perhaps it’s time to activate a chat window or point customers to the relevant part of the website FAQs to accelerate response times. Predictive analytics dramatically enhances accurate and faster decision-making by tapping into past resolutions to support similar scenarios in the future and pre-empt issues before they become real problems. This all-important data should be added to the knowledge base as part of a vital circle of continuous improvement and shared learning. But the first step is to look at the contact centre’s existing knowledge base. When was it last updated? How easy is it to use? Then use analytics to help find past solutions to handle existing enquiries and future problems. A speech analytics solution is able to sift through thousands of calls based on the parameters that have been set, quickly identifying the calls that need attention, as well as those which may uncover business insight. These parameters may be based on the duration of calls or the number of repeated calls (could pinpoint a problem with an advisor’s call handling) as well as mentions of specific keywords, such as competitor names. Identifying and successfully isolating these challenging calls among the hundreds or thousands will drill down into the root cause of a problem (such as lack of advisor training) to spot issues and trends that may not have even been searched for. A simple example of how data analytics could be used in the contact centre is to maximise the efficiency of a support call queue. With a set of call centre support advisors, the optimum state is to have all of the team handling calls, to maximise their productivity, while only having one or two customers in the queue – retaining a great customer experience. However, it can be hard to get contact centres into this state. With data analytics, the contact centre can look back on all the factors that affect queue length and advisor state and tweak them until optimal performance is achieved. Data analytics can form a virtuous circle allowing contact centres to test the effectiveness of any tweaks they make until an optimum position is reached. Alongside human benefits on both sides of the contact centre, analytics is able to provide a more cohesive, streamlined structure for internal processes. Contact centres can filter by qualitative metrics, as well as by employee, which cuts down on time spent drawing resources to be put to use. This regimented structure works to close the data gap, providing a comprehensive sample of data to be put to use without the logistical drawbacks of paper. Contact centres can filter by qualitative metrics, as well as by employee, which cuts down on time spent drawing resources to be put to use. As all data is logged automatically, there is also little room to create error, which is valuable when it comes to compliance. With GDPR soon to be introduced, analytics users also have a lighter burden thanks to the transparent electronic trail that all interactions leave, ensuring that a contact centre knows exactly what is being retained, and that their data retention is in line with new regulation. Contact centres are frequently posed with the task of balancing their need for attaining feedback and risking survey fatigue. However, instead of measuring customer satisfaction on the phone, interaction analytics can be used to evaluate the customer experience in real time. In addition, the team can draw analytics from call recordings to identify quality of service and any specific themes of conversation that associate with successful or unsuccessful interactions. These themes can be a valuable resource to inform customer service tactics, as they can identify the language and tone of voice present in high-quality customer communications. This gives contact centre employees information to inform their language register and demeanour. However, this does not mean that contact centres should remove over-the-phone surveys altogether. To gain truly actionable insights, try asking open-ended questions to help understand what is causing pain or joy, rather than just relying on numeric data alone. In each customer journey, there are many events that are strongly correlated with certain subsequent actions. When a customer calls with a specific question, purchases a certain item, or performs a transaction, there is usually an ensuing question that can be predicted and addressed during the first interaction with the customer. Advanced tools for predictive analytics offer the ability to provide proactive customer service, enabling organisations to reduce call volume and deliver better customer service. This is done by preventing the next/first customer call by predicting and fulfilling the next customer need. Effective analytics allows organisations to identify whether a particular contact method is preferred and why. It also allows a better understanding of whether one channel is used consistently following another and whether efforts to push more interactions to self-service or chat are successful. 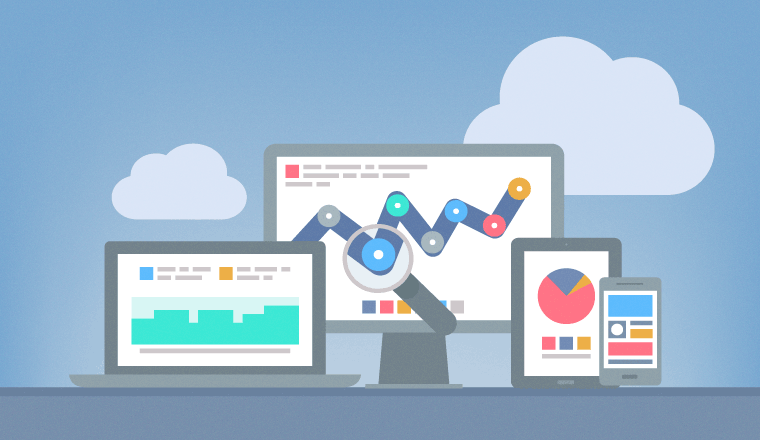 An analytics solution like this can be deployed across multiple channels at enterprise scale to understand which products, campaigns and strategies deliver the strongest results. Contact centres would then be able to aggregate customer interactions, transactions, feedback and advisor data to provide an end-to-end picture of the customer journey. Can you think of any other uses for analytics in the contact centre?